THE ROYAL PANEL DOOR: Single side feature panel door design. 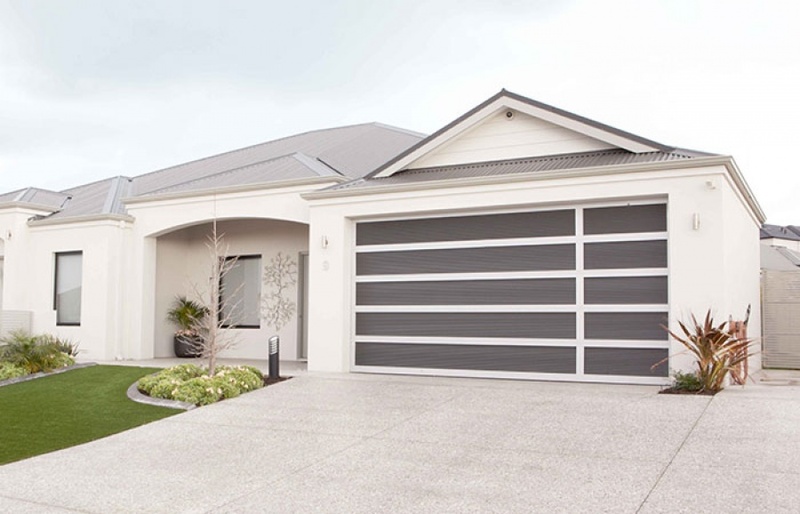 The Royal is a modern design that suits a range of contemporary homes with the added feature of either a right-hand or left-hand vertical break. The Royal can be customised to suit any combination of panel inserts while maintaining a stylish design. The Royal features a 2mm Aluminium Frame, uniquely designed with double-sided channel for superior quality and extra strength. Available in a range of powder coated colours and timber like colours. Highly customisable with many combinations of panel inserts available.